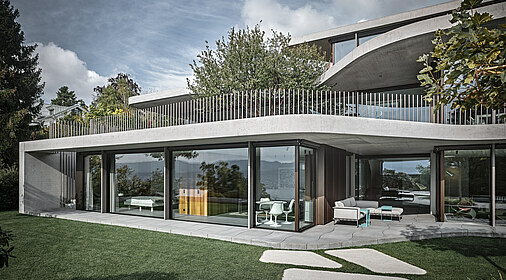 Private residence in Zurich, flowing room sequence, organic shapes combined with strict contours. Property on hillside fitted with 26 m roof façade comprising motorised and fixed air-lux elements and integrated balcony doors, flooded by light on all four sides and via the roof. Innovation is our tradition. 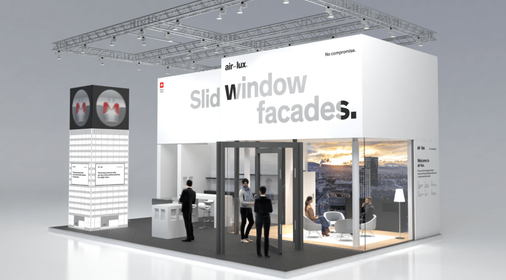 We have been using our extensive expertise and relationships with architects, façade planners, general contractors and building owners to implement solid, high quality and durable solutions for more than 50 years.